According to the Science Magazine, experts who have been examining an ancient Native American pipe for several years have made a remarkable discovery. 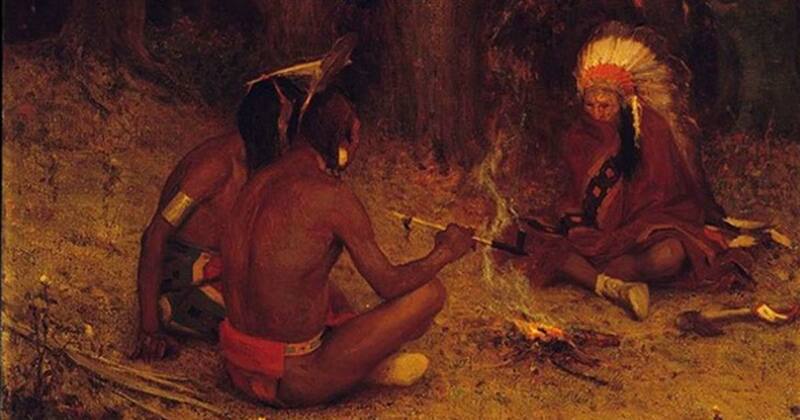 New techniques have allowed them to detect with a great degree of confidence traces of tobacco in a pipe and this is allowing them to date when the first Americans were smoking. A team of researchers working in Alabama has discovered that people have been smoking tobacco much longer than believed and this has implications for our understanding of the history of Native Americans. Archaeologists in the 1930s excavating an ancient Native American site at the confluence of the Flint and Tennessee rivers made some interesting discoveries. The dig took place at a site that was going to be submerged by the rising waters caused by the construction of the Guntersville Dam. The excavators, working under great pressure were able to make a series of finds, including an archaic pipe that was deposited in a plain paper bag in the Alabama State Repository. The pipe was in good condition and had been expertly carved from limestone. The artifact was then left and had not been examined for some 70 years. In recent years there has been a great deal of research on the spread and consumption of tobacco. Investigators are now able to examine dental plaque and pipes to find traces of the plant and this has allowed them to date the use of tobacco among Native Americans. In particular, researchers are now using a technique called mass spectrometry to look for traces of plant material in artifacts. A group of researchers has been examining pipes unearthed from archaeological sites in recent years. The project has the support of the Eastern Band of Cherokee Indians, and it aims to understand something of the rituals and social practices of Native Americans. This is because tobacco played a very important role in the religious and the social life of Native Americans, for centuries. The project, which consists of archaeologists and experts, has discovered tobacco and jimsonweed residue in pipes dating back some five to six hundred years. Experts from the project were working in the Alabama State Repository and were intrigued by an item. They had found a pipe cataloged as a “medicine tube” from the excavation in Northern Alabama in the 1930s, according to Science Magazine . The team began to examine the pipe and they used the mass spectrometry techniques to detect any traces of tobacco. They found nicotine in the pipe and this is a ‘clear biomarker of tobacco’ according to the Journal of Archaeological Science . However, while this was evidence of the use of tobacco by a band of Native Americans in Northern Alabama, it was not possible to date the limestone pipe. Luckily, some animal bones had been found next to the pipe and they were carbon dated. Based on the bones, the pipes were dated to between 1685 and 1530 BC, reports Science. This ‘resets the arrival of tobacco in North America by at least a millennium earlier than previous studies would indicate’ states the Journal of Archaeological Science . Although evidence of the presence of tobacco in North America has been traced from a much earlier date, whether this tobacco was smoked is not known. As reported by Ancient Origins in 2016 , tobacco seeds were found at an Ice Age camp in Utah and dated back 12,300 years. However, the recent discovery was important as it allows us to understand something of the history of the early band or tribe of Native Americans in Alabama. There is evidence that Native Americans were cultivating other plants such as squash at the time and it seems that they were possibly also cultivating tobacco as well. However, tobacco was probably used mainly for ritualistic and religious purposes and the evidence from the pipes proves that it had a long history in the beliefs of Native Americans. Experts have also speculated that the cultivation of tobacco plants played an important role in the development of agriculture and the find indicates that farming may have developed even earlier than previously thought.